Sufism is a discipline, a system of education that facilitates the journey of self-knowledge, a journey which enables the individual to discover his stable reality, and ultimately the reality of religion. Hazrat Salaheddin Ali Nader Angha, the Sufi Master of Maktab Tarighat Oveyssi Shahmaghsoudi® teaches, "Each individual is the architect of his/her own environment.” We draw or break the boundaries, and decide how far we want to travel in the path of self-knowledge in order to discover the reality of religion by unfolding our own myth. Cognition of our true self enables us to free ourselves from our limitations and attachments, and experience freedom, peace, and tranquility in our everyday lives. One of the most fundamental principles of Sufism is that whatever exists is the manifestation of the one absolute knowledge that pervades everything and is not limited to time or place. Therefore, the closest place to gain access to this knowledge is within one's own self. What has been written regarding the history and principles of Sufism represents its outer form. Its reality is found in the teachings of the Arif (Spiritual Teacher) who guides the seekers of truth to experience this reality so that they become stable and cognize their highest state of existence. Prophet Mohammad (peace be upon him) gave directives as to how one can cognize one’s true self. To attain this state, one must submit to God. It is through submission to knowledge that one’s actions will be founded upon knowledge and wisdom and not on ignorance, superstition, or blind faith. Unfortunately, many believe that to submit means you are subservient to someone. This is false as it is blind faith and therefore not worthy of the dignity of the human being as ordained by God. The words of Amir-al Mo’menin Ali, the guiding light for humanity, attest to this genuine and sacred goal: Islam is submission, and submission is stability and constancy in the true reality of Existence. WSubmission is the vitality of Islam because of the dynamic evolution and revolution that takes place from the core of the believer’s heart, where all boundaries of separation and duality cease to exist. Submission is the vitality of Islam because of the dynamic evolution and revolution that takes place from the core of the believer’s heart, where all boundaries of separation and duality cease to exist. In this truthfulness, the believer attests to the oneness of God. Attestation is not only verbal; the believer’s body, mind, and heart – his entire being – must resonate with the presence of one God. This method of purification through submission to God and annihilation in God was termed ma'rifa, meaning acquaintance and cognition. 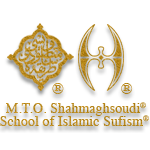 To be exact, the actual word for Sufism is irfan, derived from the word ma'rifa. Ma'rifa (cognition) refers to the state whereby nothing remains unknown to us about the subject of inquiry. In this context it refers to the cognition of oneself and the cognition of God. The one who teaches this method of cognition is known as the Arif, or he who has attained the most exalted state of existence through annihilation and permanence in God. Hazrat Salaheddin Ali Nader Angha, the Sufi Master and Arif of our time, in his book entitled Sufism, the Reality of Religion describes Sufism as follows: "Sufism is the reality of religion. By this I mean experiencing God in one's inner self, cognizing the ultimate knowledge, submitting to Him, and loving him with one's mind and heart. This is the reality of religion as I know it."